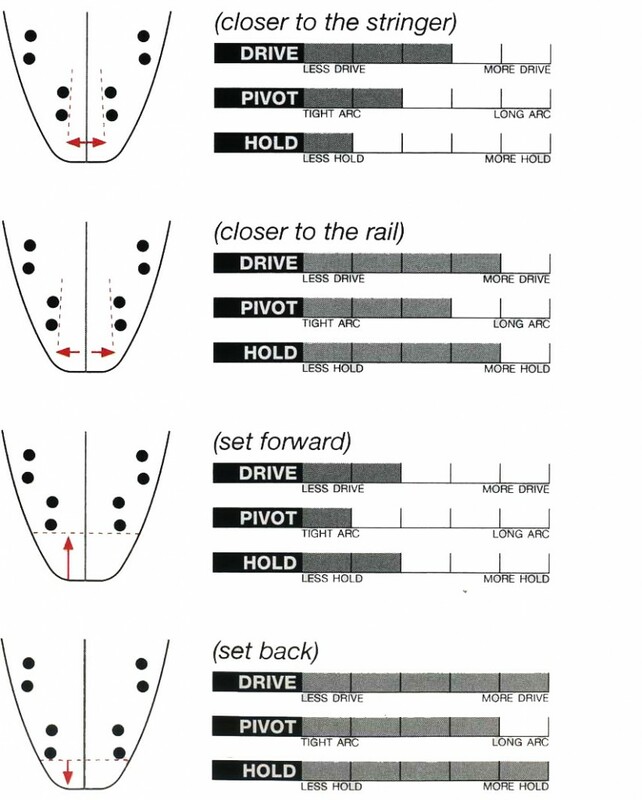 Choosing the right Quad Fins. FCS 2 Fins & Futures fins give you the freedom to choose from our extensive range of quad sets, or you can add quad rear fins to your existing thruster side fins and customize your own quad set up. Use the following information to narrow your search and help determine which quad set or rear fins will ultimately work for you and your board. 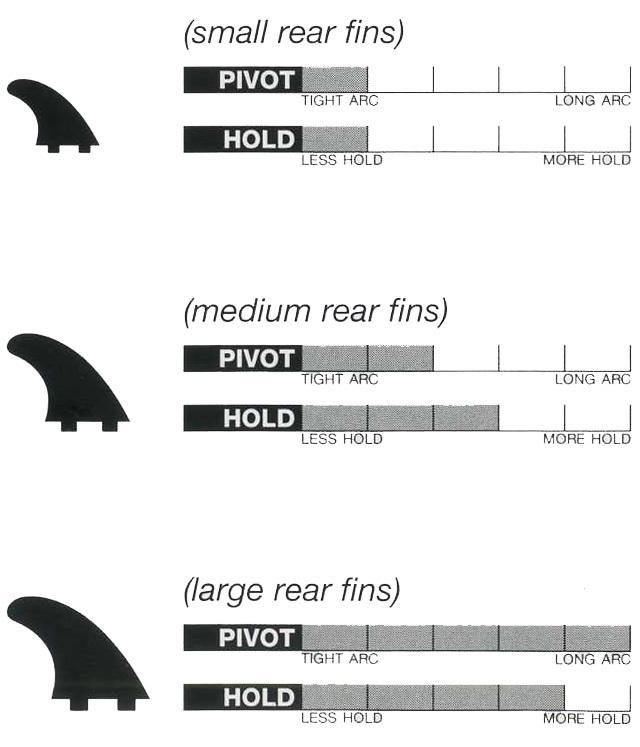 Checking your rear fin position allows you to pick the correct quad set or rear fin that will suit your board. The size of the rear fin will have a major influence on the pivot and hold characteristic of your board. Choose a foil that best suits your rear fin position and the desired performance you want to achieve.